We only enjoy, as shallow as it might sound, the handsome players, the funny slow-motioned faces that the angry coaches make, but what makes this event even more special to us is the ENERGY that comes from it! Like, EVERYBODY celebrates it offline and online which makes us want to be a part of this celebration! Look! Even the waiters and waitresses are all dressed up! 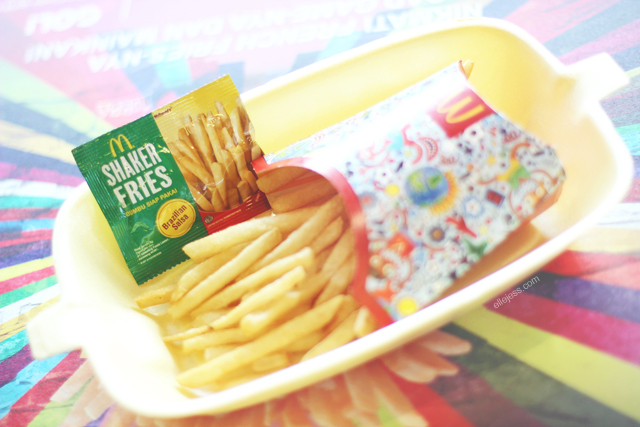 This is not like the usual french fries out there because it comes with a delicious SHAKER which makes the taste sensation way better! 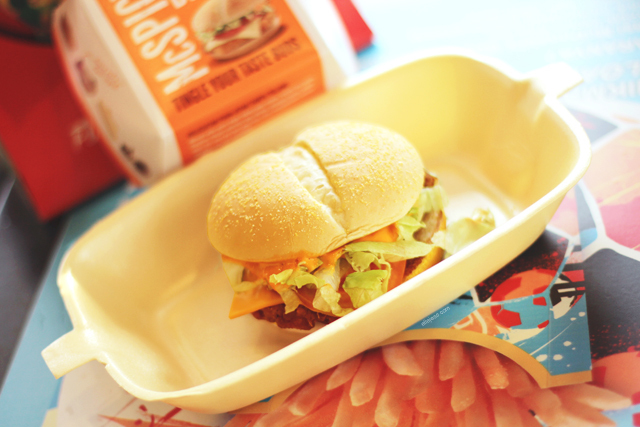 This is hands down the BEST burger we’ve ever tasted from McD! 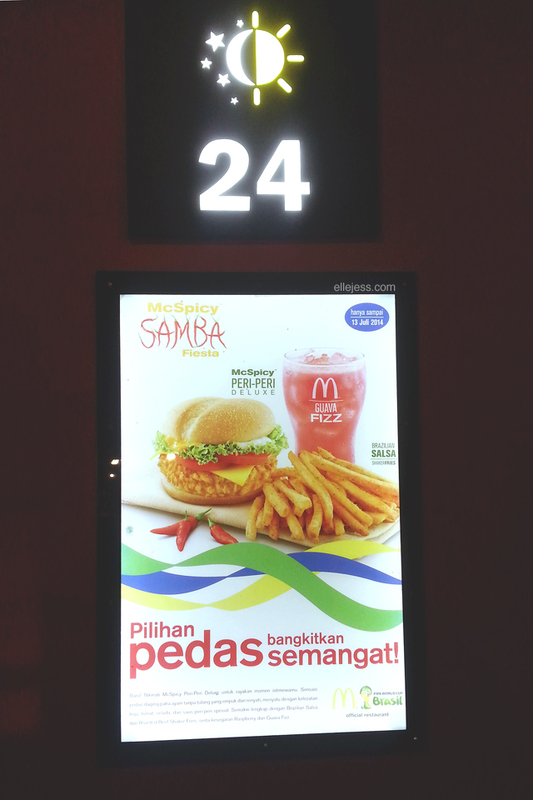 It contains of spicy boneless crispy chicken topped with cheese, tomato and special peri-peri sauce! 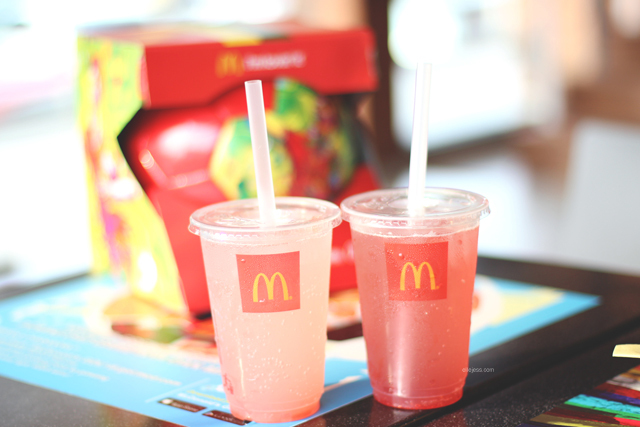 A bit too sweet for our taste, but still really good to cool down the summer heat! We’re telling you, you DON’T want to miss this special menu because they are LIMITED only for this event (until July 13th)! 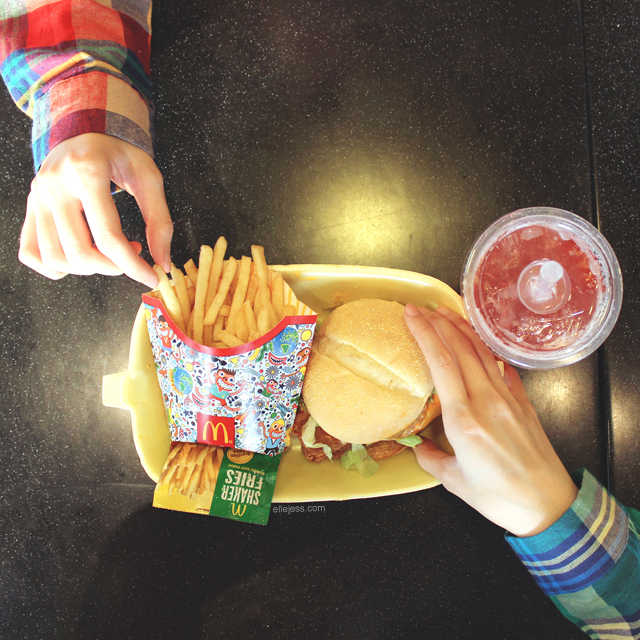 We do hope McD will make them permanent members of the menu though! 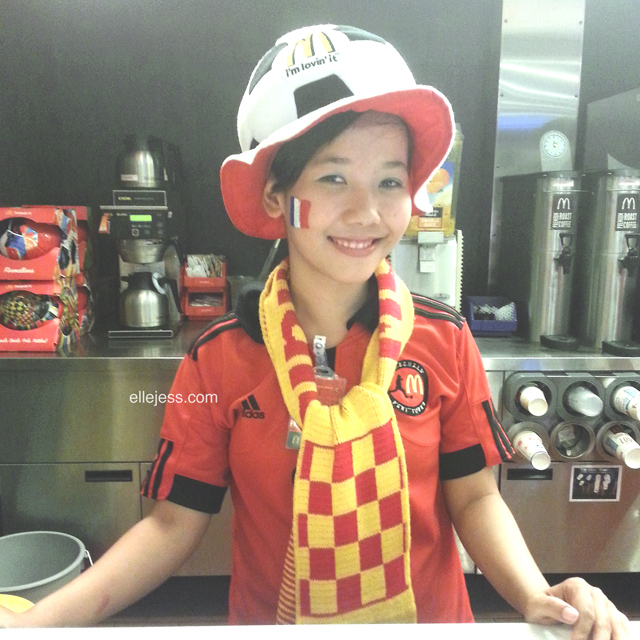 As we all know, football matches last for at least 90mins, and that my friend, calls for a LOT of food and drinks, and that can mean a lot of money, but NOT at McDonald’s! 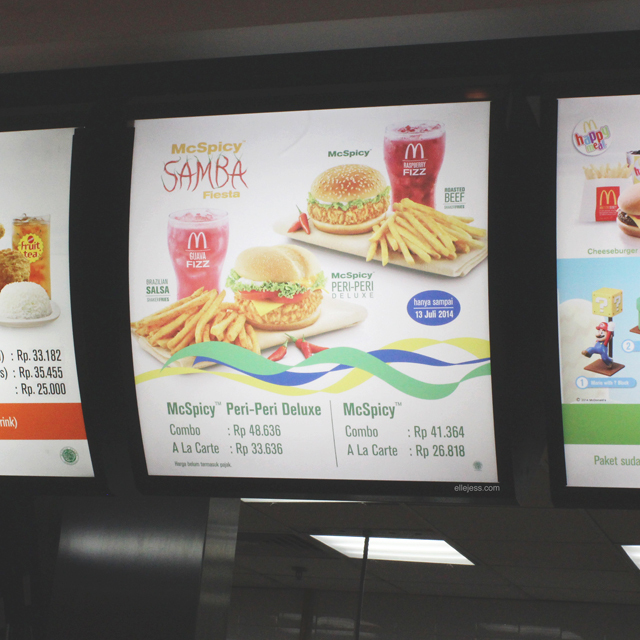 McD has the most reasonable price where you can satisfy your bottomless pit without having your wallet suffer too much. 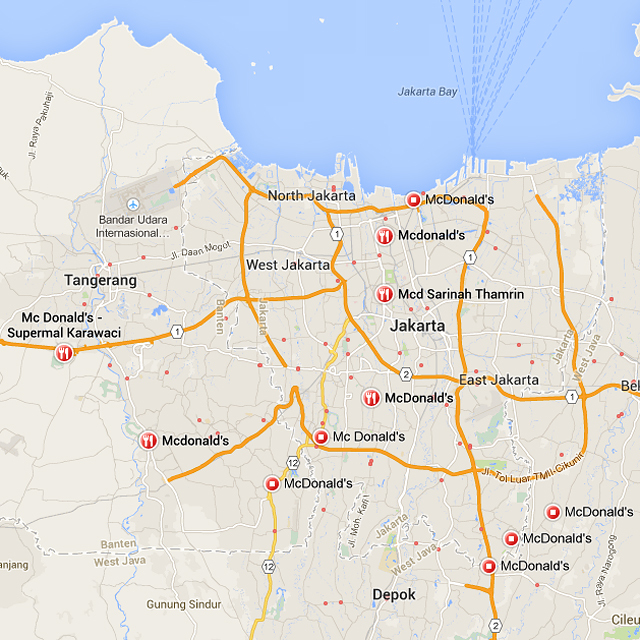 With many branches around the world (34 in Jakarta alone), you can easily spot McD near your location! Imagine if you have to drive home 100 miles after a tiring match, especially if your favorite team loses. 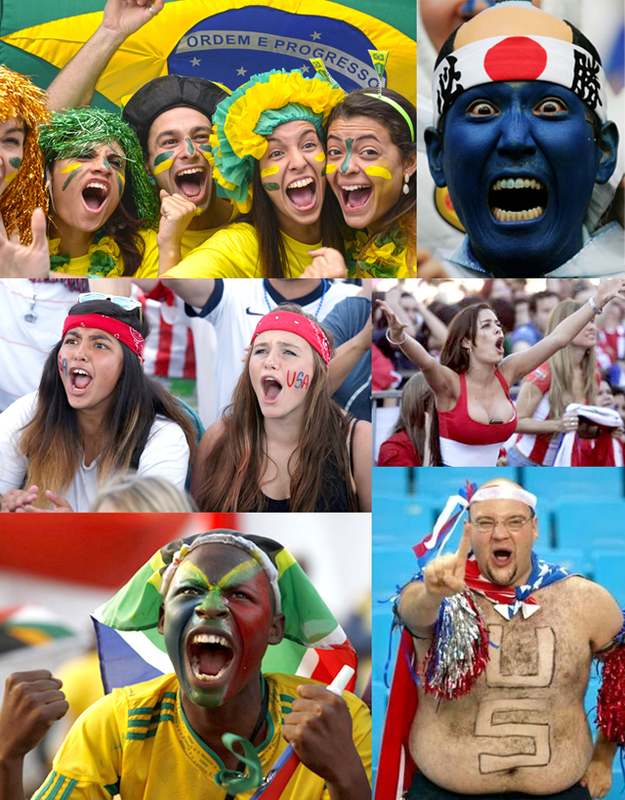 For this year’s world cup where the air time is not very friendly (01:00, 03:00, and 05:00 WIB, wtf), it’s kinda hard to find a place to watch and enjoy the game without having your parents or neighbors yelling at you for yelling at the TV. 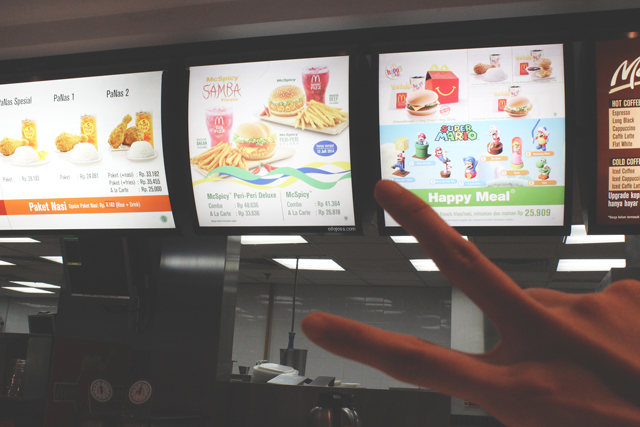 Fortunately for you, McD opens 24/7 so it won’t be a problem anymore! 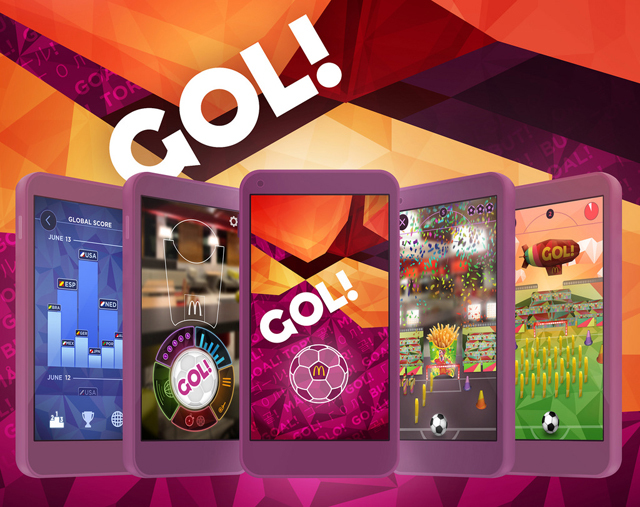 You can yell “GOOOOOAAALLL!! !” all you like! 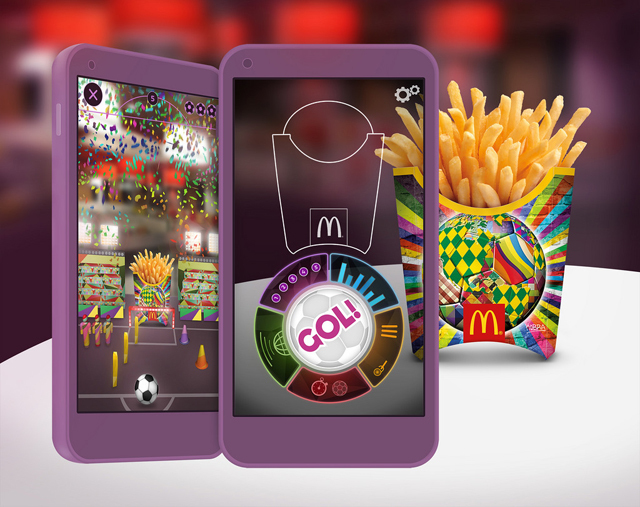 If that isn’t enough for you, McDonald’s also teamed up with Qualcomm Connected Experiences, Inc. and Trigger to create an Augmented Reality app that will give you a fun experience with a virtual trick-shot challenge! suka banget sama blog kalian pokoknya. 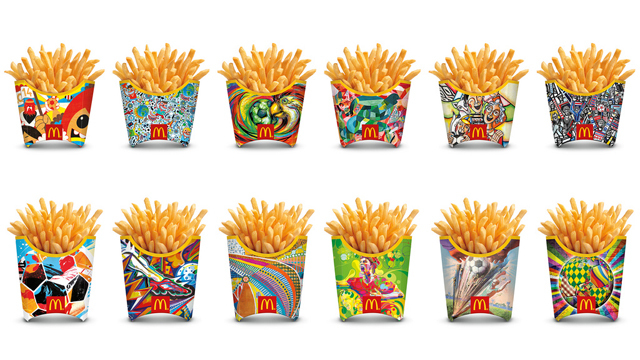 loving all the design on french fry boxes! 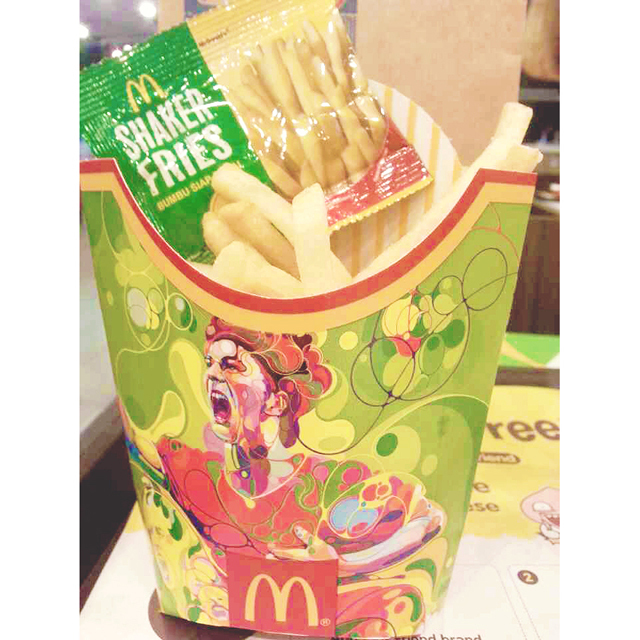 Mcd's a best place and food for world cup..
you guys are soooo pweetteeehh!! ci elle & ci jess sooo prettyyyyyy!